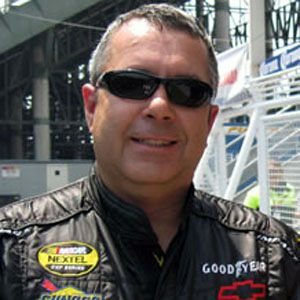 American stock car racing driver who began his NASCAR career in 1986. He drove in both the Busch North series and the Vermont-based American Canadian Tour series in the 1980s. He won his first NASCAR Nationwide Series race at the 1996 Jiffy Lube Miami 300 at the Homestead-Miami Speedway. He married Donna Lapage in 1990. He raced in a car sponsored by Billy Ray Cyrus for BAM Racing at Talladega in 2002.